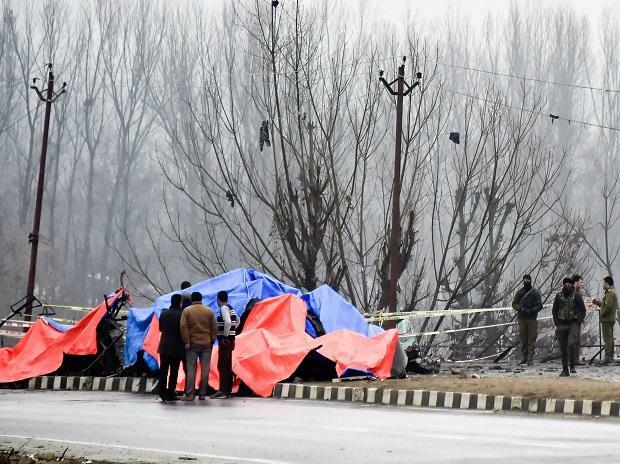 The United States has told India it supports its right to defend itself against cross-border attacks, the government said on Saturday, as New Delhi considers retaliation against a car bombing in disputed Kashmir claimed by Pakistan-based militants. Tensions between nuclear-armed India and Pakistan have risen again after New Delhi, incensed by the deadliest attack in Kashmir in decades, demanded that Pakistan act against the Jaish-e-Mohammad (JeM) militant group behind the bombing. Pakistan condemned Thursday's attack in which 44 paramilitary police were killed when the bomber slammed into a military convoy and denied any complicity. US National Security Adviser John Bolton spoke to his Indian counterpart Ajit Doval on Friday night, promising to help bring those behind the attack to justice, the Indian foreign ministry said in a readout of the phone call. "The two NSAs vowed to work together to ensure that Pakistan cease to be a safe haven for JeM and terrorist groups that target India, the US and others in the region," the foreign ministry said. Prime Minister Narendra Modi, who has faced calls for retribution from Indians on social media as well hardline groups demonstrating in the streets, said on Saturday he had given a free hand to the military to respond to acts of violence. Modi's Hindu nationalist ruling group faces a tough general election in April-May. India and Pakistan have twice gone to war over Kashmir since their independence from Britain in 1947. In 2001, an attack on its parliament building prompted New Delhi to mobilise the military along the border with Pakistan in a standoff that lasted a year. On Friday, India withdrew trade privileges to Pakistan in what it said was the first step to isolate Pakistan for not acting against Islamist militants operating from its soil. In Jammu, the winter capital of Jammu and Kashmir, authorities imposed a curfew for a second day after mobs attacked vehicles and pelted stones at the homes of Kashmiris. In New Delhi, leaders of political parties met and said they stood behind the government in its resolve to tackle terrorism. The attack comes at a difficult time for Pakistan, as it struggles to attract foreign investment and avert a payments crisis, with foreign currency reserves swiftly diminishing. On Friday, it summoned India's deputy envoy in Islamabad to reject the accusations against the country.